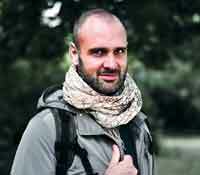 Pushing boundaries of survival, adventurer and former British Army captain, Ed Stafford, heads off to an uninhabited Fijian island for 60 days. 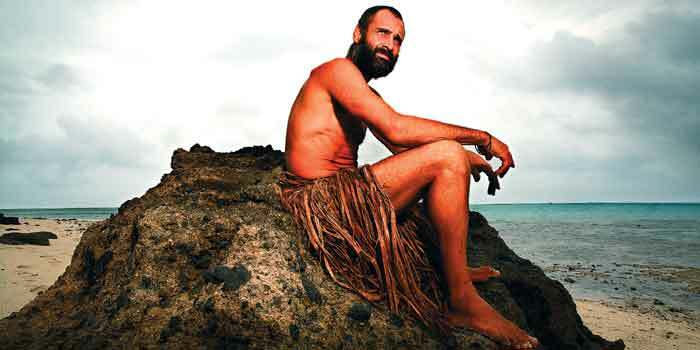 Naked Castaway documents Stafforda��s experience as he is literally washed ashore naked minus food, water, clothes, knife or tools. Despite holding the Guinness World Record as the first person to walk the length of the Amazon River, Stafford, now safe at home, talks about the challenges of the environment and the mentally gruelling experience. I have a real expedition background, not doing stuff directly for TV. So, if I was going to do something for TV, I want it to be real and quite hard as well. That is why we stripped out allA� the different things that would help me. From the moment the support boat disappeared, and I was left on an island, utterly vulnerable, and stark naked, I felt ridiculous. It just made the whole thing, psychologically, just another hurdle to overcome. It was designed to show the viewer that you started with nothing but it ended up making the whole experience just that little bit more difficult. Going through that challenge and proving to myself that I could live on a desert island for 60 days. I actually also came to a point where I felt, a�?I dona��t need to prove this anymore.A� Ia��m happy with myself, Ia��m happy with my life situation.a�� I think thata��s quite healthy to come out of it. So it was quite an amazing experience all in all and made me come out in, I think, quite a healthy state, really. I was eating raw snails and coconuts for the first two weeks until I got a fire going. I ate all of the crabs and the shellfish that I was worried about getting food poisoning. From the very first moment that the support boat disappeared, I was completely on my own. The whole process of feeling a bit angry, lashing out at people outside me, although I was completely alone, just allowed me to come to a place where finally I was actually taking responsibility, completely for everything: for my moods, for my situation, for how things were going. I didna��t realise how reliant I was on the people around me in order to get through my life and how I didna��t take responsibility for a lot of areas. Treat the situation like an exciting game that you are going to throw yourself into 100 per cent a�� and the process of surviving becomes fun. Everything then mutates from an overwhelming obstacle to a thrilling challenge and this deliberate alternative perspective is vital. I learned that if you never take any risks in your life, you dona��t move forward, and you dona��t really expand as a person. Food. I was in that constant state of food-dreaming. It was also the family life that I was missing a�� home! And the isolation thing made the whole experience so hard. Ita��s funny, even the good things a�� even if I sat and watched a beautiful sunset I found it very, very difficult to get the sense of enjoyment that I would have if I was sitting there with somebody else.